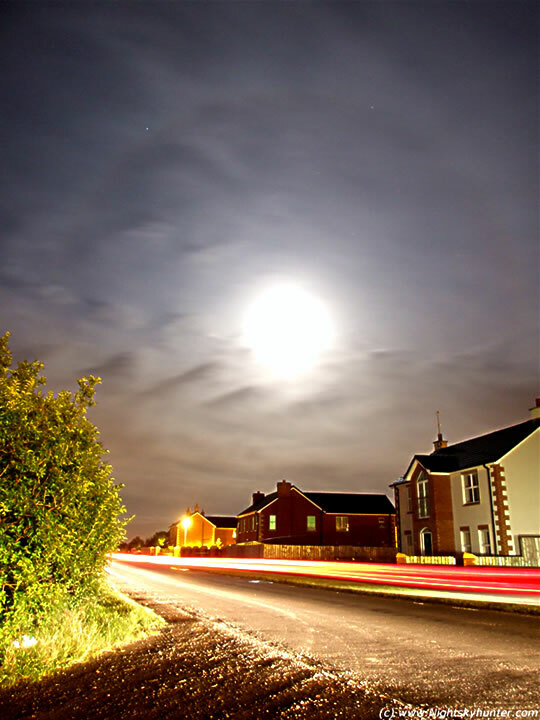 Another 22 degree Moon halo from Oct 11th 2008 captured from Crewe Road, Maghera. This time with tail light car trails. ISO400, 15 sec's at 28mm.